Ben Affleck's former nanny planning to give a tell-all interview about their affair. 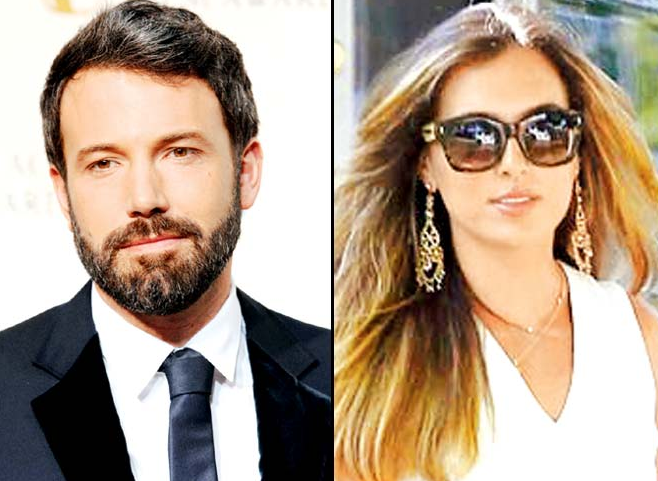 Ben Affleck's nanny has turned into his worst nightmare. Affleck’s ex-employee Christine Ouzounian — who was fired by the actor’s estranged wife,Jennifer Garner, after learning of the duo’s alleged affair — is enjoying her 15 minutes of fame so much that she is looking to extend it with a tell-all TV interview. That is, if things don’t work out with the “Batman” hunk. So far, Ouzounian, who is living it up at the Hotel Bel-Air in Los Angeles, allegedly on Affleck’s dime, hasn’t committed to either interview. She hopes to have a future with Affleck and has made that clear to producers seeking interviews. “She doesn’t want to burn the relationship completely,” says our source. But she’s also toying with Affleck, we hear. Last week the naughty nanny happened to be captured frolicking in a barely-there black bikini poolside at the hotel, an incident that may have been staged. Ouzounian, after allegedly breaking up Affleck’s 10-year union, has become “a big problem” for the actor and his people, who are still denying that he had any sexual relations with her.